Four years ago, Nayab fled the violence in Afghanistan with his father to make a new life in London. "Or the next second, you'd be here and the bomb blast would happen there." Nayab says half his friends have been killed in the conflict that has plagued the war-torn country and his mother and four sisters are still there. Now living in Peckham, south London, Nayab is no longer in fear of his life. Still, it was still not easy for Nayab to settle, especially at school. "It was difficult because how can you make friends when you can't speak English?" he says. "For six months people used to say stuff and I would just sit there in the school and just watch them. "I literally couldn't understand what they were saying. "But I just picked it up from class and started making friends. Now English is fine." After he left school, Nayab's next challenge was to make a life outside it, by finding work. This is where the Palace for Life Foundation and Premier League Works stepped in. The Foundation works with over 13,000 young people across south London every year, while Premier League Works uses the power of football to help people aged 17-19 not in education, training or employment to build the confidence and skills to turn their lives around. Nayab got help with CV writing and had mock interviews. He also secured his Construction Skills Certification Scheme card, with Foundation partners ENGIE. "It's a good opportunity for people," he says. "There are a lot of people who aren't doing anything, who are out there in the street. "The Foundation brings them, puts them on courses and helps them out. They are there for the community." 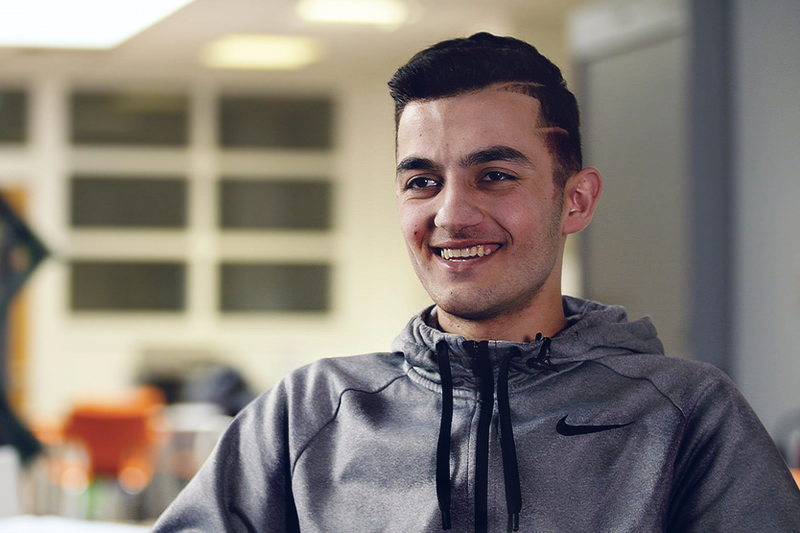 The film of Nayab's story was made to support Amnesty International UK's Football Welcomes campaign, celebrating the contribution of refugees in football and the community.